However, the popularity of professional go, or baduk in Korean, supersedes pro gaming, points out website Ask a Korean! Professional go players take on pros from Japan and China and twenty percent of the South Koreans know how to play the world's oldest, and one of its most complex, board games. "Many Koreans easily become obsessed with activities or games that test their ability to think and react rapidly, and excelling in such activities for competition during youth is highly encouraged," says Nick Rumas, a South Korea-based filmmaker and writer. "This can range from math to science to Rubik's Cube, and while StarCraft generally is not a 'recommended' pursuit, it falls under a similar obsessive mindset." A report from website Rock, Paper, Shotgun notes thousands of fans will fill stadiums to see competitive gaming matches. Some diehard fans even start lining up the night before to ensure they get good seats. The game's popularity in South Korea is due to, in part, good timing. 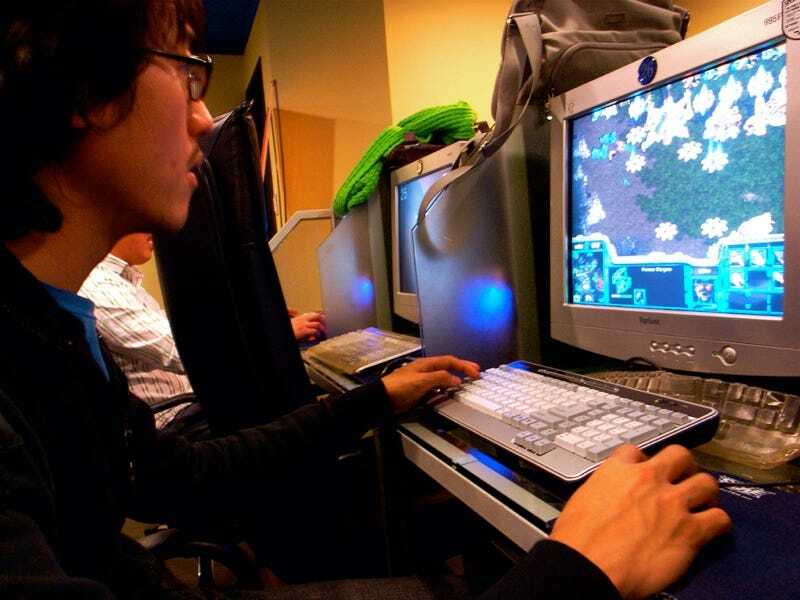 When Blizzard launched StarCraft in the late 1990s South Korea was building up it's online infrastructure and creating the fastest internet in the world. Online cafes began sprouting up, and the cafes needed games. It's a matter of which came first — the chicken or the StarCraft — but the game ended up in more and more net cafes. The release of the game also coincided with the creation of South Korea's first pro gaming league in 1998. A couple of years after the game launched, pro-gamers began organizing into teams and big time sponsors like Samsung moved in.